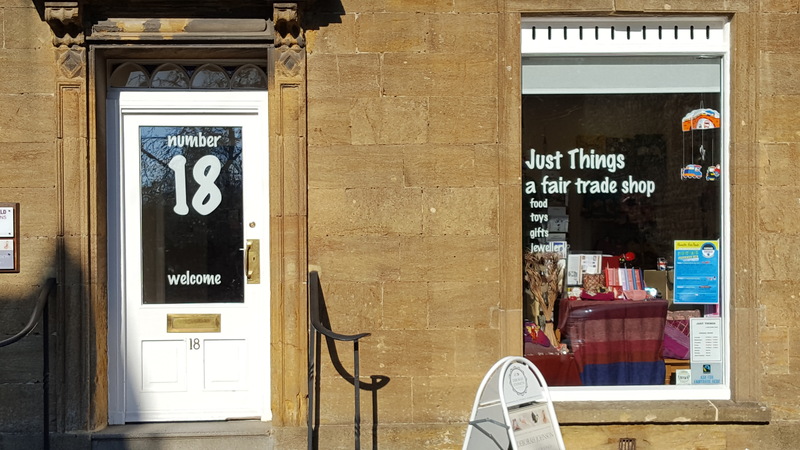 Just Things fully supports the following 10 principles of Fair Trade, and strives to apply them in our dealings with suppliers, customers, and the wider community. The organisation is transparent in its management and commercial relations. It is accountable to all its stakeholders and respects the sensitivity and confidentiality of commercial information supplied. Theorganisation finds appropriate, participatory ways to involve employees, members and producers in its decision-making processes. It ensures that relevant information is provided to all its trading partners. The communication channels are good and open at all levels of the supply chain. commitments in a timely manner. Suppliers respect contracts and deliver products on time and to the desired quality and specifications. orders are paid on receipt of documents and according to the attached guidelines. An interest free pre-payment of at least 50% is made if requested. that this payment is passed on to the producers or farmers who make or grow their Fair Trade products. with its trading partners. Parties involved in a trading relationship seek to increase the volume of the trade between them and the value and diversity of their product offer as a means of growing Fair Trade for the producers in order to increase their incomes. The organisation works cooperatively with the other Fair Trade Organisations in country and avoids unfair competition. It avoids duplicating the designs of patterns of other organisations without permission. exist, these are used as a minimum. Fair pay means provision of socially acceptable remuneration (in the local context) considered by producers themselves to be fair and which takes into account the principle of equal pay for equal work by women and men. Fair Trade marketing and importing organisations support capacity building as required to producers, to enable them to set a fair price. or through intermediaries ensure that no forced labour is used in production and the producer complies with the UN Convention on the Rights of the Child, and national / local law on the employment of children. Any involvement of children in the production of Fair Trade products (including learning a traditional art or craft) is always disclosed and monitored and does not adversely affect the children’s well-being, security, educational requirements and need for play. retirement based on race, caste, national origin, religion, disability, gender, sexual orientation, union membership,political affiliation, HIV/Aids status or age. The organisation has a clear policy and plan to promote gender equality that ensures that women as well as men havethe ability to gain access to the resources that they need to be productive and also the ability to influence the widerpolicy, regulatory, and institutional environment that shapes their livelihoods and lives. Organisational constitutions and by-laws allow for and enable women to become active members of the organisation in their own right (where it is a membership based organisation),and to take up leadership positions in the governance structure regardless ofwomen’s status in relation to ownership of assets such as land and property. Where women are employed within theorganisation, even where it is an informal employment situation, they receive equal pay for equal work. The organisation recognizes women’s full employment rights and is committed to ensuring that women receive their full statutory employment benefits. The organisation takes into account the special health and safety needs of pregnant women and breast-feeding mothers. collectively. Where the right to join trade unions and bargain collectively are restricted by law and/or politicalenvironment, the organisation will enable means of independent and free association and bargaining for employees. The organisation ensures that representatives of employees are not subject to discrimination in the workplace. Working hours and conditions for employees and / or members (and any home workers) comply with conditions established by national and local laws and ILO conventions. they buy from. They seek, on an ongoing basis, to raise awareness of health and safety issues and improve health and safety practices in producer groups. directly with small producers develop specific activities to help these producers improve their management skills, production capabilities and access to markets – local / regional / international / Fair Trade and mainstream as appropriate. Organisations which buy Fair Trade products through Fair Trade intermediaries in the South assist these organisations to develop their capacity to support the marginalized producer groups that they work with. as emissions. They seek to minimize the impact of their waste stream on the environment. Fair Trade agricultural commodity producers minimize their environmental impacts, by using organic or low pesticide use production methods wherever possible. originate from sustainably managed sources, and have the least overall impact on the environment.